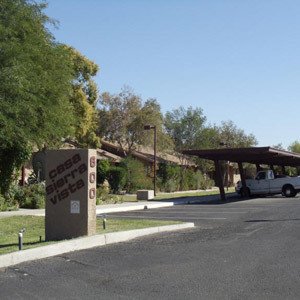 Casa Sierra Vista has earned a reputation for providing safe, affordable housing. Comfortable apartments, surrounded by carefully tended grounds, enhance the home-like atmosphere. Our residents enjoy the beautiful and friendly ambiance of a community which provides security, fellowship and fun...all in one location and just minutes away from local churches, restaurants and shopping centers. 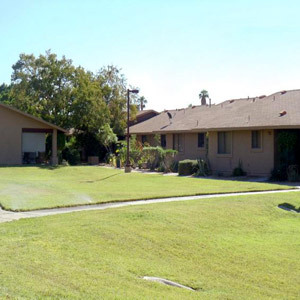 Casa Sierra provides housing for the elderly under the Section 202 program. An equal housing opportunity is afforded to all persons who are at least sixty-two (62) years of age, handicap and/or disabled and who qualify under federal income limits. All families must complete a written application. By completing the application, your name will be placed on a waiting list. The list is a database which is closely regulated. You will be contacted when your names reaches the top of the list. It is imperative that you update your application every time there is a change in your mailing address, phone number and family composition. Many families are removed from the list due to undeliverable mailed correspondence. Once we receive the application we input the application to our waiting list on the day that the application is received. Once we have input the application we will send a confirmation letter to the mailing address listed on the application. Faxed and e-mail application will not be accepted. Residents pay 30% of their adjusted monthly income for rent and utilities.